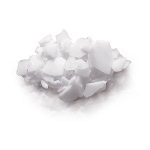 Scotsman Scale Ice machines manufacture ice in a range of thicknesses, from 1.2mm as preferred by the food processing industry to 2.2mm as demanded by the fishing industry. Scale Ice is produced in heavy duty cylindrical evaporators designed for the most rugged applications. Scale ice is the coldest form of ice with a residual water content of only 2% making it the ideal ice for fresh produce transportation. The compact versions of the MAR scale ice machines have on-board refrigeration systems making them easier to install. 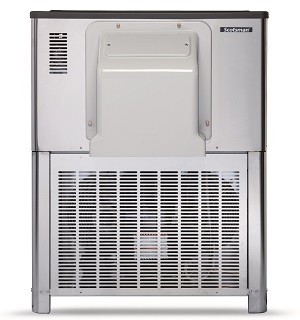 The adjustable cylindrical freezing evaporators allow the MAR scale ice machines to be calibrated to produce scale ice flakes in a size ideal for the application in which the unit has been installed. • Stainless steel horizontal evaporating drum: for life-long working endurance. • Floor standing compatible: delivers ice straight into carts, trolleys or ice boxes (compact version only). • Plug-and-work technology: starts off and constantly produces ice thanks to a no-cycle harvesting system (compact version only). • All water in / all ice out concept (no cycles, zero water wastage): limits to almost zero excess energy, water and time wastage. ‘SPLIT’ models operate with remote condensing refrigeration systems, either dedicated or centralised which require specialist installation. These systems reduce environmental issues as excess heat produced during ice production is released outside of the building and not back into the working environment making them perfect for temperature sensitive manufacturing. Selected models in the MAR Series are part of the Scotsman EcoX range of environmentally friendly ice making machines. The Scotsman EcoX Range of ice making equipment operate on either R290 (Propane) or R744 (Carbon Dioxide) natural refrigerants (model dependant) which have a Global Warming Potential (GWP) value of 3 or less making the Scotsman EcoX ice makers fully complaint with both current and forthcoming F-Gas regulations.